[New York City] Lyons Wier Gallery is pleased to present "Southerly" by Cayce Zavaglia, May 3rd - June 2nd, 2018. For the past sixteen years, Cayce Zavaglia’s work has primarily focused on documenting the members of her immediate and extended family. “Southerly” marks a departure from this practice and focuses instead on the life-long friendships that were formed when her parents immigrated to Australia in 1972. In 2015, Zavaglia was the recipient of an Artist Fellowship with the Regional Arts Commission in St Louis. This generous grant allowed her to return to Australia and photograph these childhood friends and their families. The resulting work touches on the universal immigrant experience of friends assuming the roles of absent family members. 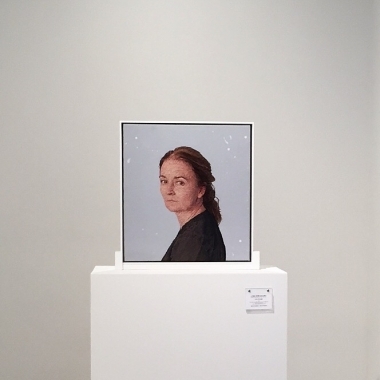 Portraying these individuals provided Cayce with an opportunity to reflect on the evolving definition of the word “family” and pay homage to her adopted country. Zavaglia has developed a technique which has been described as “Modern Pointillism,” that allows her to blend colors and establish tonalities that truly resemble the techniques used in classical oil painting. The direction in which the threads are sewn mimic the way brush marks are layered within a painting which, in turn, gives the allusion of depth, volume, and form. Her stitching methodology borders on the obsessive. This system allows her to visually evoke painterly renditions of flesh, hair, and cloth. 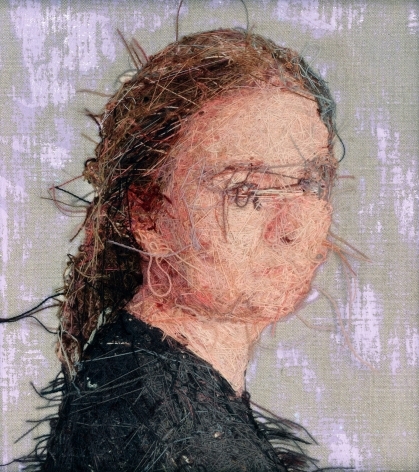 Each portrait is hand sewn in wool and continues her investigation into the notion of “embroidery as painting” and her ongoing interest in both hyper-realistic portraiture and process. Cayce Zavaglia holds a BA in Painting from Wheaton College (1992) and a MFA from Washington University in St. Louis (1998). 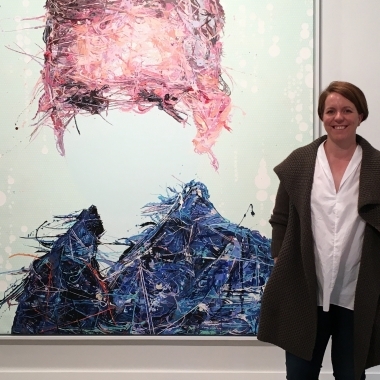 She has exhibited with Lyons Wier Gallery since 2008 and “Southerly” marks her 6thsolo show with the gallery. She was the 2013 recipient of the Great Rivers Biennial and mounted her first museum solo exhibition “Recto/Verso” at the Contemporary Art Museum St. Louis in 2014. 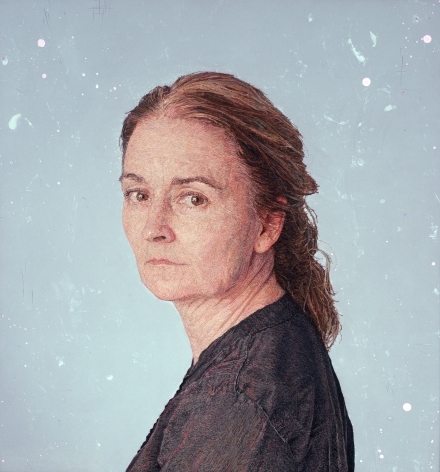 Her work is included in numerous private collections and has been acquired by the West Collection, the University of Maine, Museum of Art, and the 21c Museum Hotels Collection and profiled in national publications such as Elle Décor, Surface Design Magazine, Fiber Arts Magazine and New American Paintings. Cayce Zavaglia lives and works in St. Louis, Missouri.